Crow Forest Permaculture is a collective of local farmers, educators, and artists dedicated to sharing ecological wisdom in an international context. Facilitated on an 8-acre permaculture farm in Blacksburg, VA, these workshops focus on hands-on, small-scale, and affordable environmental projects that generate agricultural abundance in a variety of urban and rural settings. With a commitment to hands-on, collaborative, and bottom-up sustainability education, participants of all ages and backgrounds will learn how to to creatively cultivate, harvest, and share abundance in their local communities. 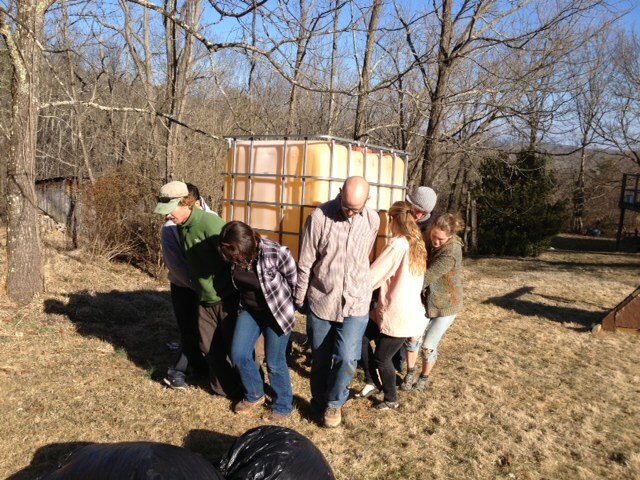 JP, CZ, Chris, Caitlyn, Maureen and Adam move our IBC tote (for aquaponics!) 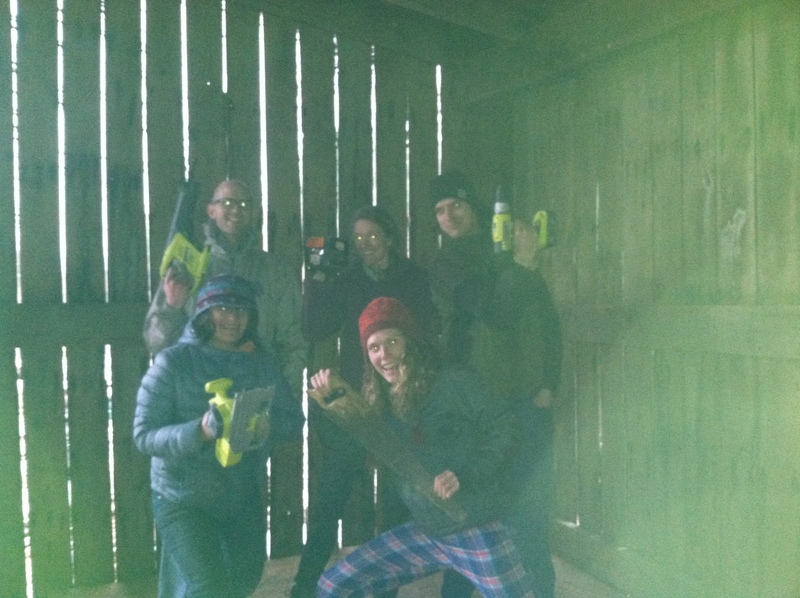 to our tool shed during our inaugural Sustainable Sunday (3/9/14). Last Sunday, nearly 30 people met for a Crow Forest Farm meet and greet where we learned how to make lacto-fermented ginger beer and created our own potting soil. 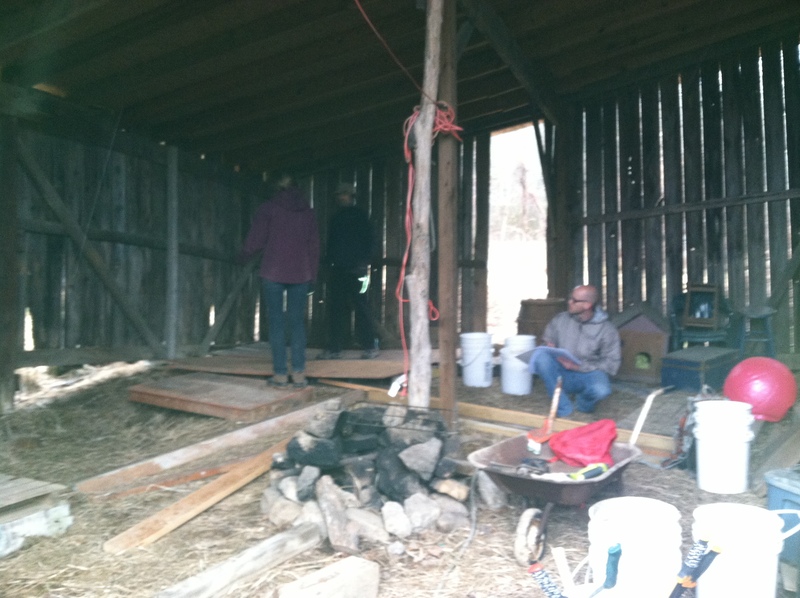 Yesterday, a crew of 7 dedicated people gathered in the midst if chilly wintery mix to construct our “Shed Talks: barn stage from recycled materials. 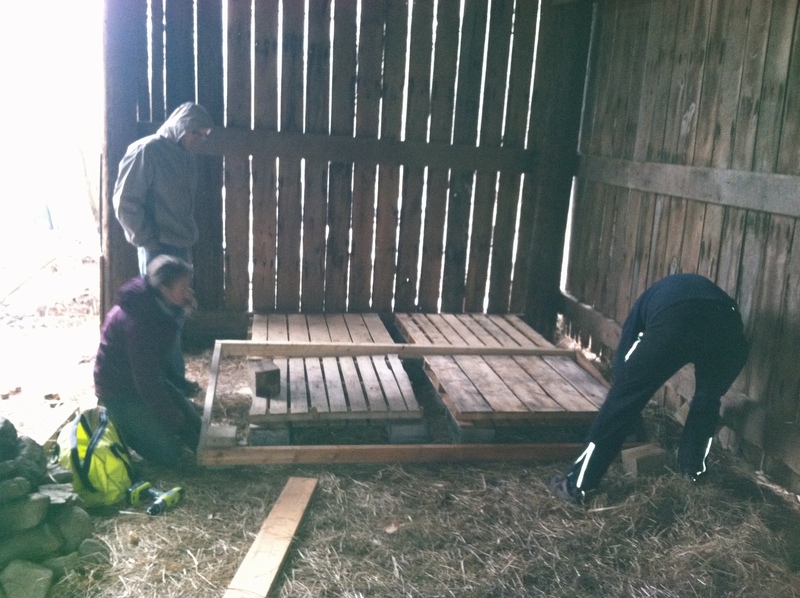 Chris, Kelley and Parakh lay down our first stage frame 3/16/14. 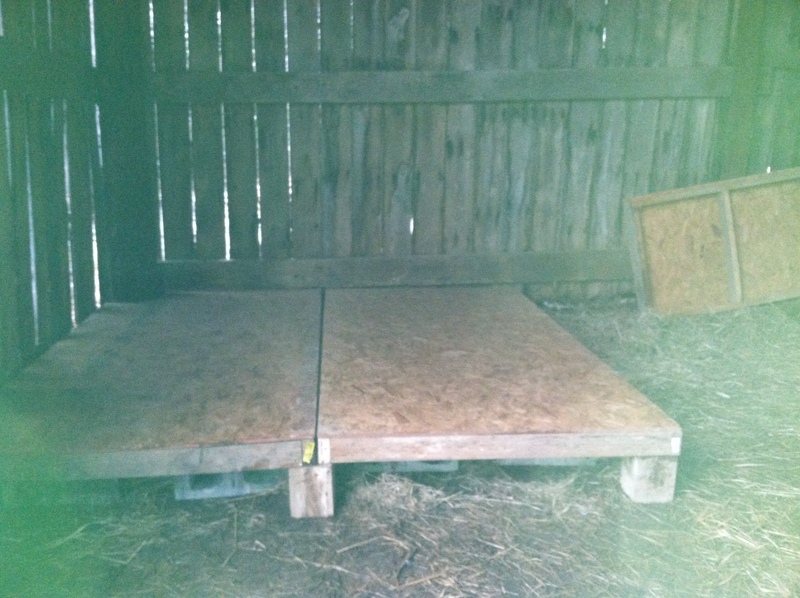 Our finished stage! Shed Talks, here we come! Our hope is to welcome musicians onto our barn stage for a relaxing soirée after Rock the Blocks. In the long-run, we plan to host teach-ins and “Shed Talks,” on a variety of topics. My gratitude goes out to all of the generous people who are supporting our vision of creating a participatory permaculture space in Blacksburg. 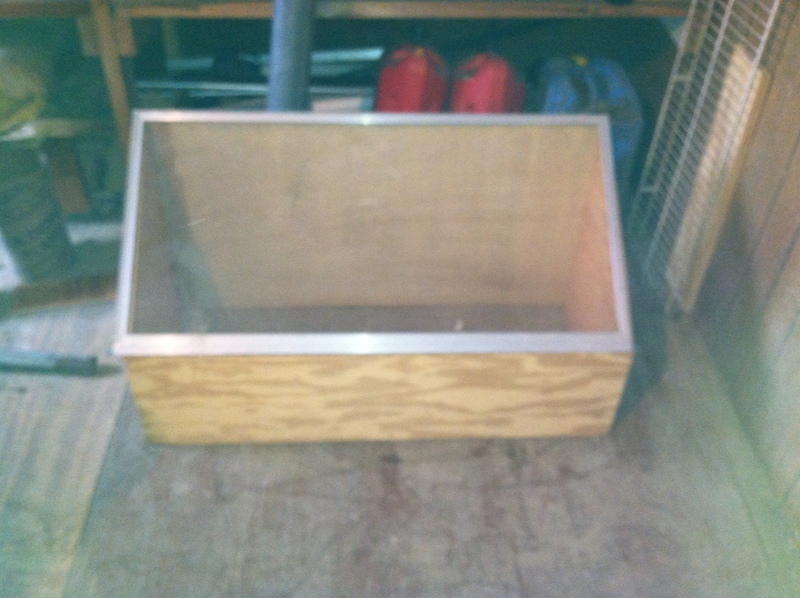 Come out next Sunday to help us construct a chicken tractor! awesome progress, it’s looking great. Thanks, Drew. When are you coming back for a visit?